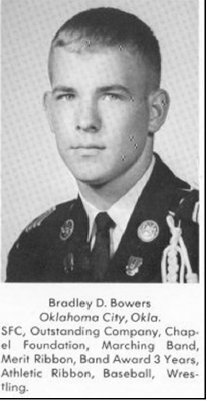 Pfc Bradley Bowers is pictured above in his senior yearbook at Oklhoma Military Academy, Now Rogers State University since 1971. He is one of the 4 2/77FA Troopers killed in the july 4th attack on Dau Tieng Base Camp.Below left, a picture of the Memorial placed on the campus for ALL graduates of the Academy. 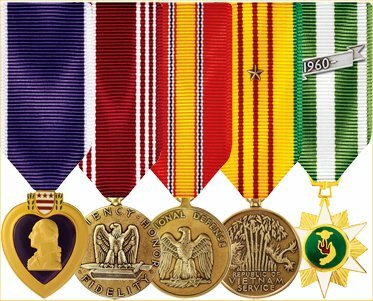 On the Right, The section for KIAs of the Vietnam War. R.I.P. BRAD and thanks. On personal level, I am glad we FINALLY have a pic of you! 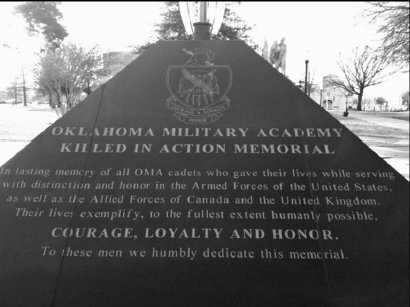 Dear Soldier I am part of the senior class of Gridley High School in Gridley Illinois. People in our school are making remembrances for the virtual wall for many of the soldiers that died in the Vietnam War. 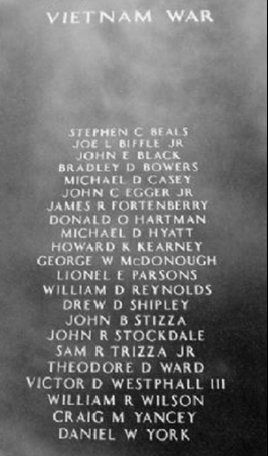 You have my greatest thanks for paying the supreme sacrifice for your family, friends, and country. Your service, loyalty, and love for this country helps make what this country is today. It is a privilege to live in this country.